New technologies will mean rethinking the way we work. We're asking leading thinkers, industry and civil engineering experts - that's you - to debate the impact of new and emerging technologies on how we plan and deliver infrastructure in the future. The infrastructure sector needs to find new ways to deliver services – be that more reliable and faster transport, secure energy and water supplies or less carbon emissions. Our infrastructure is changing - along with the way we use it and the demands we place upon it. How can we make our infrastructure agile and ensure users are never locked into obsolete technology? How will we develop the experienced engineers of the future if many of the tasks that are currently part of professional formation are automated? Should we reframe questions of skills shortages? Do we instead need to talk about future needs? How will we reconfigure networks and the towns and cities that autonomous vehicles will serve? Over the next few weeks we’ll be adding to the debate with more videos, comments and blog pieces. We want your views and opinions too. See below for how you can get involved. 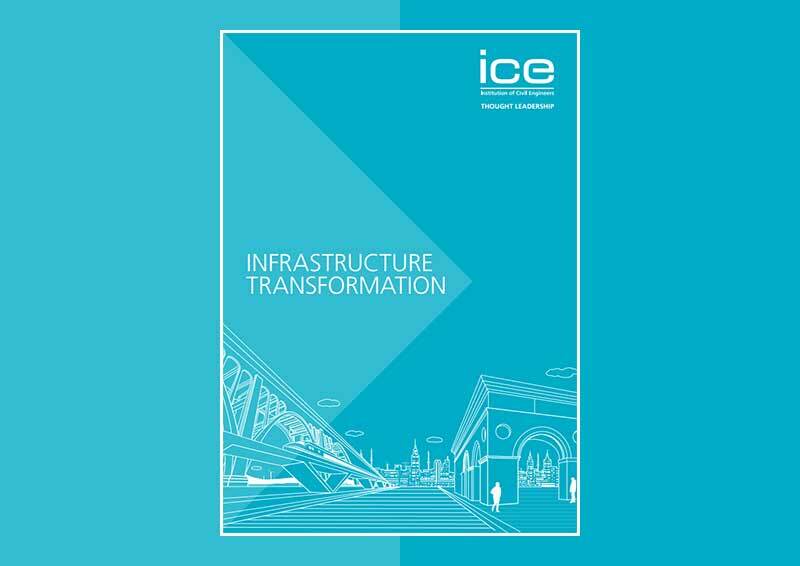 Our Infrastructure Transformation Green Paper poses a series of questions around four key areas: autonomous vehicles, agile infrastructure, artificial intelligence, and future skills and delivery models. Do you have any answers? ICE is running a series of workshops and roundtables that explore all the questions raised in the Green Paper. A group of the freshest engineering brains are set tough problems and asked to solve them. If you have a great idea for a hackathon then we can help produce it. We want to encourage the widest views on these big issues. We welcome think pieces, blogs and comments. You could also produce a video. How will trends in technology and more agile approaches to infrastructure lead to fundamental capacity improvements in our built environment? Are we making the most of big data? Will car sharing still have a place in an autonomous world? Are current business models prohibiting new approaches to infrastructure? How can we move from an infrastructure focus to a customer focus?